Wayne is the Principal of Common Ground Capital LLC (CGC) and founded the company in April 2012. For many years and in different phases of his life, Wayne has been very fortunate to work with many talented individuals, companies, Universities and organizations in the energy and wildlife conservation space in the Southern Plains Region of the United States. Wayne has also been influenced by his family’s ties to the rural landscape and heritage in Southeast and West Texas. The vision to form CGC was the result of observing years of less than optimal solutions to address conflicts in the energy and environment interface that typically short changed wildlife conservation and in virtually all cases created an un-level playing field for pro-active responsible energy companies seeking to lead by good example. 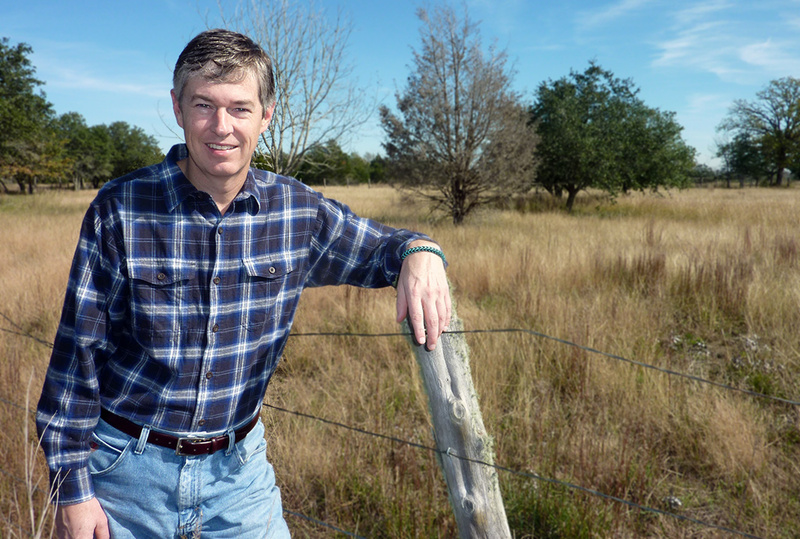 After investigating options for a better way forward and developing mentoring relationships with a select number of people in the field of natural resource mitigation, Wayne pursued his vision of forming a company that would establish Common Ground for key stakeholders by creating a product that both properly values ecosystems services under an approved regulatory framework based on free market economics and provides for commercially reasonable mitigation solutions to responsible energy developers. This business model delivers the maximum amount of certainty to all stakeholders: wildlife conservation achieves a net conservation benefit and industry development interest achieve efficient and permanent transfer of liability to Common Ground Capital so that their projects can move forward without litigation risk. Wayne leads the Business, Strategy & Policy Development as well as Regulatory, NGO and Landowner Interface functions for Common Ground Capital (“CGC”). Wayne holds a BBA in Petroleum Land Management from the University of Oklahoma (1991) and a Masters of Environmental Science from Baylor University (2000). CGC executed its first species credit transaction during the Fall 2012 by working closely with Dr. Amy Smith, USFWS staff, his business partner Preston L. Smith of Wildwood Credits, LLC and TransCanada and their outside counsel, Brad Raffle of Pillsbury, Winthrop, Shaw to secure a permittee responsible mitigation site to mitigate impacts from the Keystone Gulf Coast Pipeline in Oklahoma for American Burying Beetle (Nicrophorus americanus) in record time. Prior to starting CGC, Wayne served as Director, Strategic Business Development for Oklahoma Gas & Electric (Stock Symbol: OGE) beginning in December 2008. At OG&E Wayne was responsible for all new business development for renewable and traditional power plant generation, including new project acquisitions, power purchase agreements with 3rd party providers, turbine supply, balance of plant negotiations, managing the company’s exit from the wholesale business and the implementation of new pilot programs for emerging renewable generation products for key customers. Wayne’s accomplishments at OG&E include successfully getting CEO/Executive Team support to negotiate and secure approval for two voluntary conservation offsets with the Oklahoma Department of Wildlife Conservation for Lesser Prairie-Chicken habitat totaling 23,000 acres for two wind farms totaling $9M, successfully acquiring and securing regulatory approval for the $450M, 227MW Crossroads Wind Project in 2010 and later the Oklahoma State University Project Cowboy Wind Farm in 2012 which will provide pollution free, low cost energy to OSU for the next few decades in the form of a energy and environmental price hedge over the next 30 years. Prior to OG&E, Wayne had extensive and successful careers in two of the fastest growing sectors of the US economy in the last twenty years: semiconductors in the 1990s and wind energy in the 2000s. Wayne was one of the five original employees of Horizon Wind Energy (known as Zilkha Renewable Energy before its sale to Goldman Sachs in 2005 and later to Energias de Portugal in 2007 “EDP”), one of the largest wind developers in the United States. During his seven years at Horizon, Wayne was Director of Project Development for the Southwest Region of the United States (Kansas, Oklahoma, Texas, New Mexico & Colorado) where he was a pioneer in developing the wind energy market from a business development, project development, and policy perspectives. Wayne lives in Edmond, Oklahoma, with his wife and daughter; and he maintains strong ties to his and his wife’s family in Texas. Wayne’s family has been involved in the oil & gas, wildlife management, and livestock industries for multiple generations and owns a 7,500 acre ranch in Crockett & Val Verde Counties, Texas and a 65 acre recreational property in Fayette County Texas. For more information on Wayne’s career accomplishments click this link.